These are the common questions that many people have then they are first trying or learning more about flotation therapy. Can I drown if I fall asleep in the float pod? Some people fall asleep, but the water is so dense that you stay afloat. The worst that can happen is getting woken up by a bit of salt water in your eyes. Can I eat or drink before I float? Normally food is not recommended unless you want to hear your stomach growling inside the pod. Similarly, you shouldn’t be starving or you could have the same issue, just have a light meal a couple of hours before the session. Definitely no caffeine, alcohol or energy drinks. Ideally some water is okay. Yes, just follow the same protocol that you would when going to a swimming pool. Absolutely, pregnant women love floating! It‘s a wonderful way to alleviate the weight of caring another human inside you. If you have any concerns, or you are in your first or third trimester, please consult with your physician before coming in. Only one person per pod. Once you have floated you will realise that the experience is quite personal and worrying about disturbing someone else lying next to you really defeats the purpose of the experience. We do however have three float pod rooms, so up to three people can come float simultaneously in our float centre. No, your skin doesn’t even prune up but instead becomes supple and smooth. You do absorb a lot of magnesium from the Epsom salt and that’s super good for your body. Do I have to stay in for the whole time? You can get out at anytime. The 60-minutes usually goes by waaaay faster than you’d expect, most people report being quite surprised when their time is up. Come as you are – we provide everything that you need to float. Towels, earplugs, organic shower and body products, and blow dryers are all provided. You may wish to bring a contact lense case, a brush & your personal beautifying potions. The entire water in the pods is fully filtered 3 times between each float, passing through a 10 micron filter and a brominator. The natural bacterial killing qualities of the Epson salt combined with hydrogen peroxide and UV light means that the water in the pods is cleaner than tap water. The cleanliness of the pods and that of our float centre is of the utmost importance to us. We are governed by and follow Qld’s Health regulations, get our water tested by an external lab, spend many hours every day cleaning and take pride in it. How many times do I need to float to feel results? 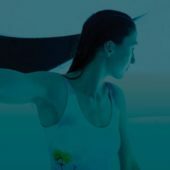 Many people experience significant benefits on their first float, however like any form of active wellness, consistent and repeated usage amplifies the results. We find that after your second or third float, you’ll be able to relax both physically and mentally and you’ll really start to feel how awesome floating can be. For chronic conditions more sessions will likely be necessary as it can take time to resolve underlying issues effectively. There are no rules as to how often you should float, however when you start floating, it is ideal if you are able to manage several floats within a fairly short time say one float per week or fortnight for 3-5 sessions. We know that this isn’t always possible however and most people will find they feel real benefit from even just one float. For long-term benefits, it is preferable to float regularly (monthly, fortnightly or weekly) to help maintain reduced stress levels, muscle tension and improve overall well-being rather than using it as a reactionary treatment when stress & tension levels are already high. The common sense approach that prevention is better than cure also applies to floating. We at The Float Space float anywhere between daily to weekly and can wholeheartedly confirm that ‘the more you float, the better it gets’ is true! Only one person per float pod and each pod is contained within an individual room. Each room has its own shower which you’ll use before and after your float. It is recommended not to wear bathers so that they don’t bother you by the feeling of anything touching your skin, which is detrimental to the concept of limiting your sensory distractions. Using bathers is also not recommended as they usually carry a lot of bacteria which would affect the hygiene in the pod, and also they will turn into cardboard due to the high salinity! In the 24 hours before you float, don’t shave or wax as the Epsom salt water may sting your skin. Don’t drink caffeinated beverages for at least 4 hours before you float (it can make you a bit jittery). Eating a light meal about an hour to 90 minutes prior to your float should prevent your stomach from growling while you float. That’s it, no other preparation is needed. If it is your first time – come 10-15 minutes early for a brief induction. IMPORTANT: Please wait for 1 weeks after having coloured or dyed your hair (excludes bleaching/highlights), and 5 days after having a spray tan before your next float appointment. There is no need to be able to swim as the water is only 25-30cm deep. Anyone – even those people who say they are unable to float in pools or the ocean can float effortlessly in the tank due to the high concentration of Epsom salt and increased density of the water. We guarantee it. Being in the pods is more like floating in outer space than being shut in a box. You are always in control of your environment, you have the ability to open the door to the float pod at any time and leave the internal pod light on. Many people with extreme claustrophobia have reported having no problems with their time in the pod and that they actually feel very safe and comfortable. When you first get in we recommend you sit down and close and open the door a few times to see how easy it is to help you feel more comfortable. If you have a condition that is adversely affected by magnesium absorption via the skin. Here are some of the most common questions about the infrared sauna, answered! Yes. The heat and infrared light are naturally disinfecting and kill bacteria, as well as cedar wood, which is antibacterial. We also ask clients to lay towels on the bench, we clean the entirely sauna after each use and the sauna has an oxygen Ionizer which purifies the air by removing allergens, dander, and odors, leaving your infrared sauna air fresh and clean. Can I sauna with another person? Absolutely! Our saunas accommodate up to 3 people at Maroochydore and West End, and up to 2 people at Noosa. We charge individually per person using the sauna. Please note that our online system cannot make reservations for more than one person in a sauna, so please call us to schedule this type of appointment. Our facilities at The Float Space West End offer a shower while those at The Float Space Maroochydore do not. If you are booked in for a float session after your sauna, you are able to shower in your float suite. If you aren’t floating after, we provide a towel to wipe down with after your session. Before any sauna session make sure you are well hydrated for maximum benefit and detoxification. An hour before your sauna try and drink at least 500mls of clean water. How is infrared sauna different from traditional sauna? Far-infrared waves penetrate 1.5 inches or more into our body, raising the core body temperature and producing a deep and detoxifying sweat at a cellular level. The sweat glands offer one of only a few mechanisms that the body has to eliminate toxins and since the skin is the largest organ in the human body, it is very good means for elimination. Infrared heat is gentle on the body. It feels similar to lying outside on a warm day, but shaded from the harsh ultraviolet rays. Unlike traditional saunas, which often operate around 80 degrees Celsius or more, infrared stays a more comfortable temperature of 50-60 degrees. Traditional saunas heat the air instead of the body directly, which can make them unbearably hot and breathing difficult. Because infrared penetrates human tissue instead of heating the skin’s surface, they are seven times more effective at detoxifying the body. The sweat produced by a traditional sauna might have only 3% toxins, while infrared can produce sweat comprised of up to 20% toxins. We recommend 30 minutes for each sauna session. Daily to at least once a week is ideal, but you can sauna as often as you like! It is a great complement to your exercise routine, and also perfect for a rest or recovery day. While one session will leave you feeling refreshed and cleansed, maximum results are obtained with repeated treatments. If suffering from chronic illness sick or have high toxicity one session daily for at least 10 days is recommended. Subsequently, one to three sessions per week are beneficial to make a difference. Find what works best for you and your body’s needs. Yes, your sauna is located in a private suite where you can relax uninterrupted. Infrared light is the invisible part of the sun’s spectrum that our bodies use to heal and repair. They are the healthiest rays, with the ability to penetrate into the skin deeply as they dissolve harmful substances accumulated in your body and provide lasting relaxation. Far infrared heat provides all the healthy benefits of natural sunlight without any of the dangerous effects of solar radiation. What should I do while I sauna? We encourage using your time in the sauna as a moment to relax and meditate, and allow the infrared heat to melt away any stress or fatigue you may be experiencing. If this is not appealing to you, then the options are endless! You can bring a book, magazine, or even your phone or tablet into the sauna to pass the time. If you are feeling more active, you may choose to do stretching or yoga. The less the better, to allow maximum skin exposure for the release of sweat. This could be a bathing suit, shorts and a tank, etc. We also provide a towel for each guest to use in the sauna if they wish. If you are unsure, you should consult with your physician. Do not use if pregnant, have serious inflammation, a fever, a communicable disease, haemophilia, or are intoxicated or dehydrated. You may also want to consult with your physician regarding medications, if you are elderly, have ardiovascular or chronic conditions, insensitivity to heat, or a condition that affects your body’s ability to sweat. Our Sunlighten 3-in-1™ mPulse Infrared Sauna is the only sauna on the market to provide all 3 infrared wavelengths, including near, mid and far infrared, which are effective at producing different health benefits. Mid infrared (MIR) is a longer wavelength that can penetrate deeper into the body’s soft tissue where inflammation occurs. MIR helps expand blood vessels and increases circulation, so more oxygen can reach injured areas of the body. This reduces pain and speeds the healing process. The longest wavelength, far infrared (FIR), reaches deepest into the body, where toxins are stored. By raising your core body temperature, FIR stimulates the sweat glands, resulting in a deep, detoxifying sweat that leaves you feeling revitalised. Plus, since sweating increases heart rate, cardiac output, and metabolic rate, you’re also burning calories.